November, 1888- 1st November, 1955 was a highly acclaimed American writer, professor and the also the founder of courses such as salesmanship, public speaking, self-improvement and interactive skills. He was born in an impoverished family in Maryville, Missouri. Carnegie harboured a strong love and passion for public speaking from a very early age and was very proactive in debate in high school. Carnegie went to the Warrensburg State Teachers College and later onwards became a salesman for Armour and Company in Nebraska. He also moved to New York in the pursuit of a career in acting and gave classes in public speaking at the Young Men’s Christian Association. Consequently, he began to form classes of his own and also started to work on writing pamphlets, which would eventually be published as books. Carnegie was of the opinion that the quickest and most effective way to build up .. . . selfconfidence and self-esteem is through public speaking and interaction. During the early 1930’s, he was renowned and very famous for his books and a radio program. When How to Win Friends and Influence People was published in 1930, it became an instant success and subsequently became one of the biggest bestsellers of all time. It sold more than 10 million copies in many different languages. It also increased the demand for further literary work from him and also to give lectures. Therefore, he began work as a newspaper columnist and formed the Dave Carnegie Institute for Effective Speaking and Human Relations, with several branches globally. 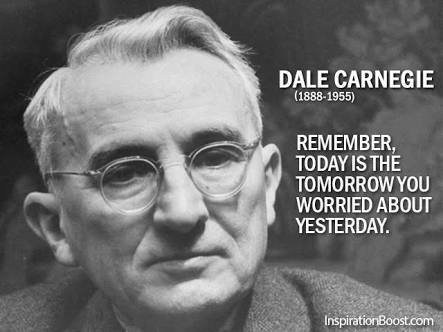 Fortunately for Carnegie, he managed to live to see the day, when his name was associated with self-help to success that he so actively advocated and promoted.